Aiden is a hugger and a leaner and a smoocher. 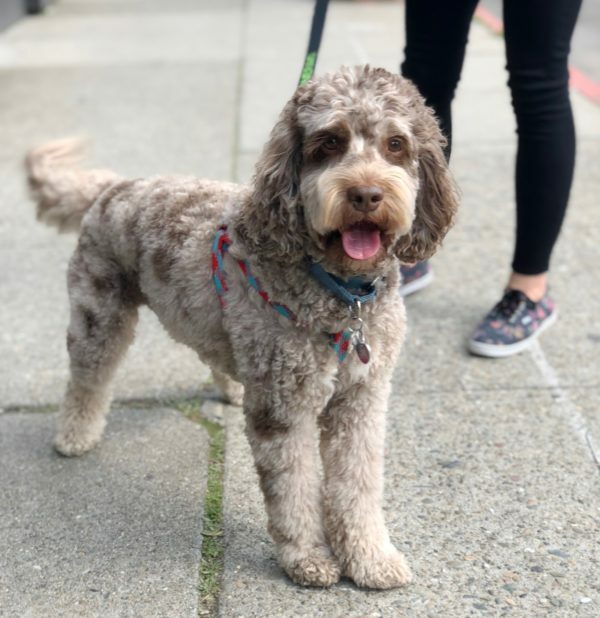 I thought maybe he was a parti-poodle, or a mix of one, but apparently the spots came from the Cocker grandparent. 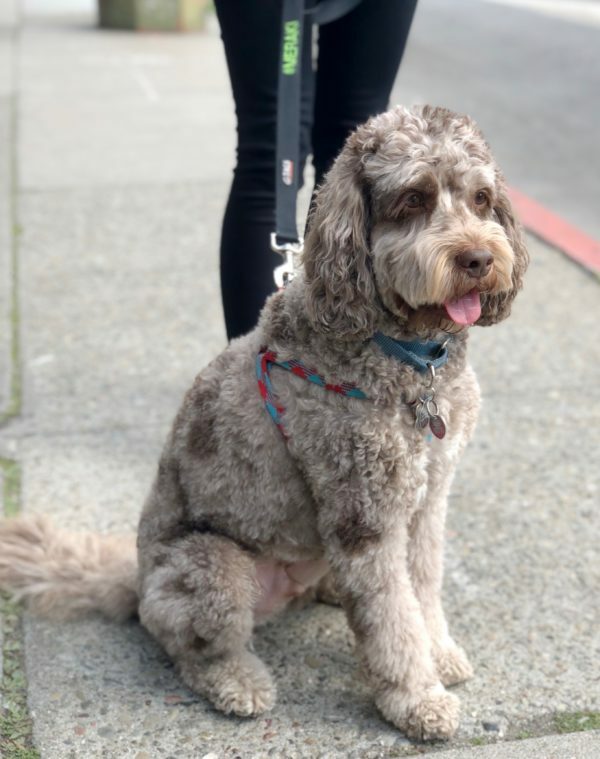 This entry was posted in Dog of the Day and tagged Cocker Spaniel, Labrador Retriever, Mission, Mixed Breed, Poodle, SOMA, Work. Bookmark the permalink. Not hard, Aiden is super-photogenic!